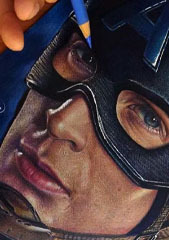 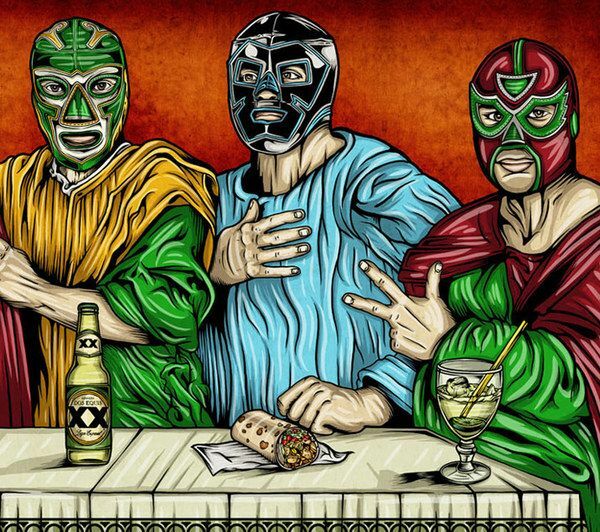 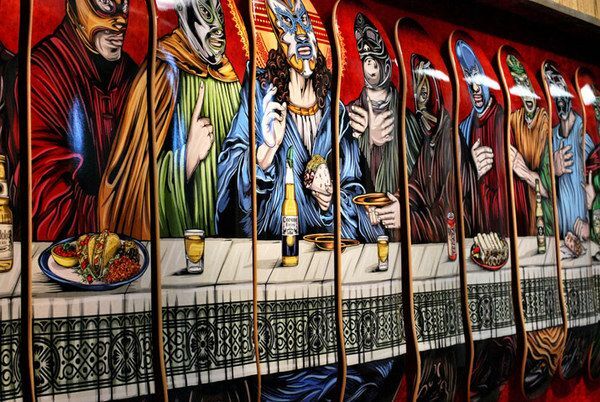 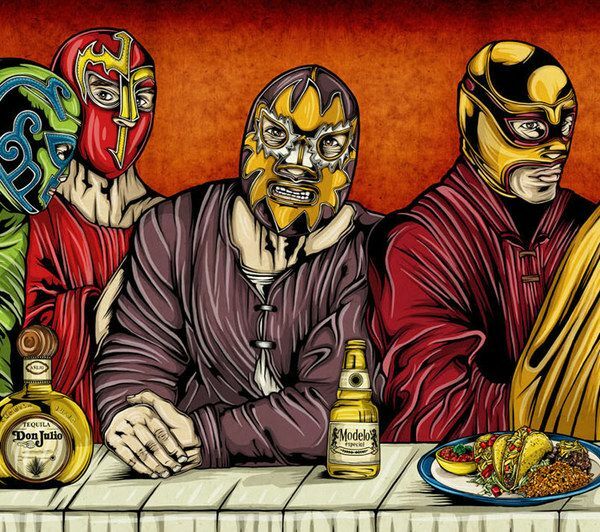 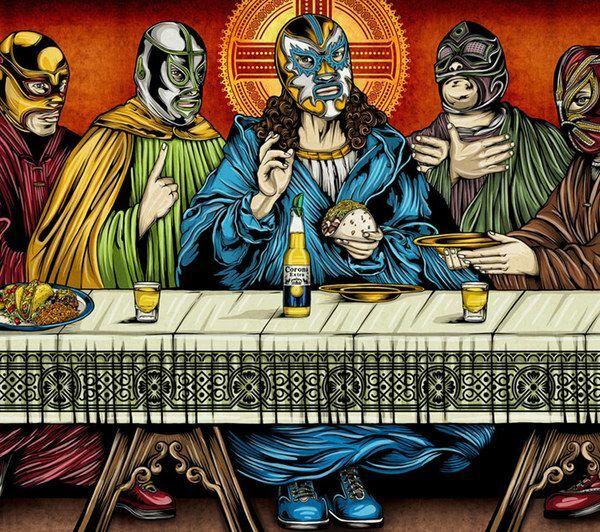 " The Last Fiesta' is my 12-skateboard deck shout-out to Leonardo da Vinci's 'The Last Supper' with Jesus Christos and his 12 Luchador apostles getting down one last time. 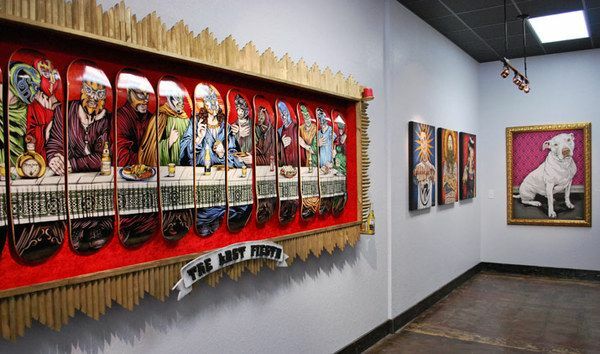 This piece was created for my solo exhibit Saints & Sinners, here at the Pale Horse Studio. 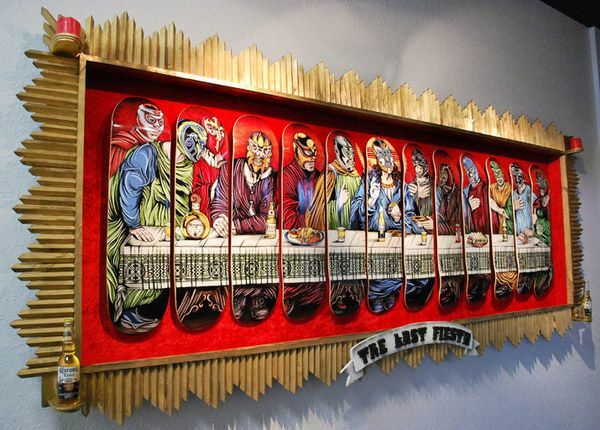 Hand-made shadow box by Casey Paquet. "